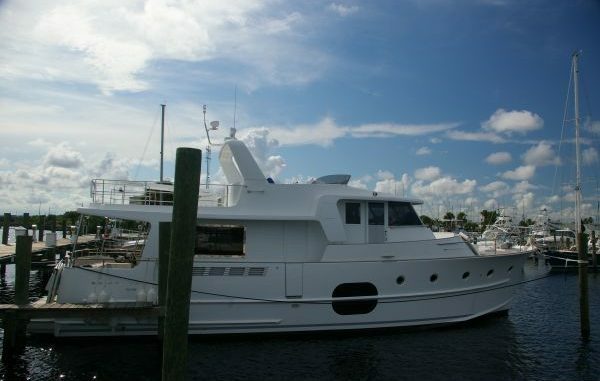 The 2008 Fort Lauderdale International Boat Show was the first appearance of the Swift Trawler 52 in the Americas. 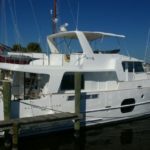 This Swift Trawler 52 truly is “swift” cruising at 23 knots or a more economical speed of 18 knots. 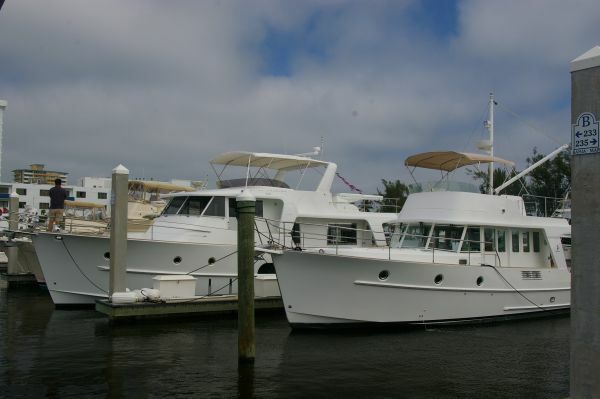 This boat can get you there quickly and in comfort with the spacious Pilot House design. 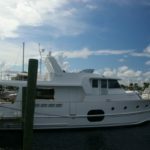 If the weather is nice you can operate the boat from the huge flying bridge deck that features a large open area for a dinghy. Our plan is to bring the boat home after the boat show by running out into the ocean with NO bridges to slow us down. 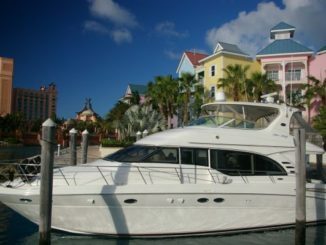 The weather is OK and the seas are fine for a boat of this caliber. As we clear the inlet and turned North we see a lot of other boat show boats headed home too. That’s OK; the ocean is big enough for all of us. In fact, we are impressed with how quickly we pass other “fast” type motor cruisers as we all head north up the shoreline. Many people may not realize the FL shoreline changes direction to more northwest at Lake Worth Inlet. 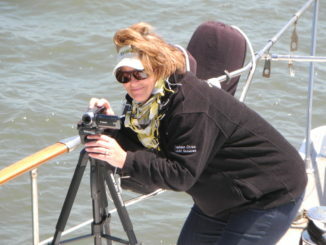 When we pass the inlet and make the course correction the seas start to build. 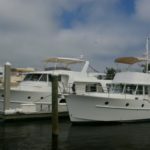 We notice many of the “other” fast type motor cruisers we are traveling with have ducked into the ICW at Lake Worth Inlet. We are comfortable and making good speed so we decide to push on to St. Lucie Inlet before coming inside. 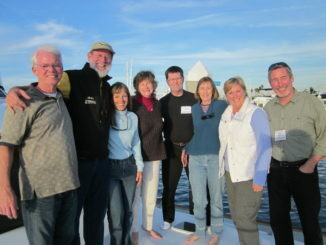 We complete the trip in the ICW and arrive in Fort Pierce in just a half day from Fort Lauderdale. WOW! The same trip in the intracoastal waterway would have been 12+ hours. 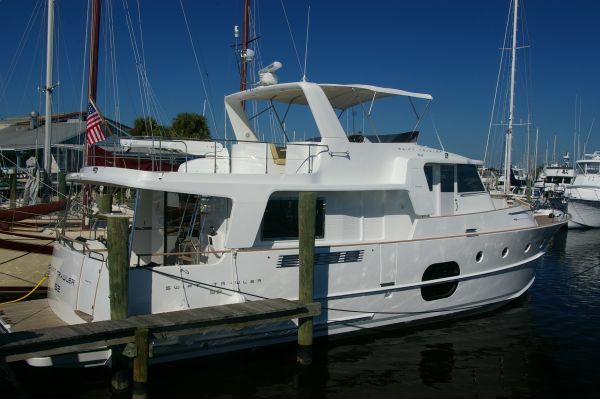 This Swift Trawler 52 certainly offers a smooth ride.